venice in winter means you will see marvelous coats, hats, capes, boots, and all manner of winter garb. each day i spot between 5-10 supremely quirky characters in their full regalia of winter apparel. they are without exception old, elegant, and confidant of their wardrobe choices. perfect characters for this bewitching theatre set of a city. i rode out across the lagoon in search of il giardini, the tranquil gardens originally created on the orders of napoleon bonaparte after he conquered the republic of venice in 1797. if you hop off the vaporetto at the giardini stop you will see exactly what i saw below. this quiet area of the castello has a lovely park you can stroll through which features wide, gravely paths, benches, and shade trees—lindens and hackberries, plane trees, laurel and privets. there is not much green space on the floating isles of venice so this area in the historic center is unique and not often visited by tourists except during the venice biennale. come here and stroll around if you want to get a different glimpse of venice. the origin of the park dates back to 1807, when bonaparte ordered that the city of venice be equipped with a public green area. the ancient monasteries of st. dominic and st. anthony were demolished in order to get the necessary space. i will return on my next trip to venice to see more of the gardens and the biennale pavilions in this area. i was scheduled to meet dottie and christy back at maria della salute so we could go inside. i missed visiting her on my last trip to venice in 2012 and hoped she would be open. i boarded vaporetto 5.2 for another trip across the lagoon, this time disembarking at zattere, a wide promenade that runs along the southern shore of dorsoduro. this is another beautiful area to walk, especially on a sunny day when the acqua waters of the guidecca canal glitter and swell under the pale blue sky. it is another respite from the crowds of tourists that clog the sestieres of san marco and rialto in the days leading up to the new year. if you dislike crowds as much as i do it’s nice to know there are places in venice that are blissfully uncrowded. santa maria della salute was begun in 1631 as a votive offering for deliverance from the devastating outbreak, and completed nearly 50 years later. the plague which began in 1630, killed a large portion of the venetian population. in the brief span of one year’s time, between 1630 and 1631, nearly a third of the citizens of Venice, fell victim to the plague. it goes without saying that the inside is overwhelmingly beautiful. we lingered under her domed ceiling enjoying the peaceful ambiance and bright light. we are on our way to burno, torcello, and the cemetery island of st. michele. tis my last full day of adventuring as tomorrow late afternoon i check into a hotel (with a canal view) so i will be closer to the taxi stand at 5 a.m. when i make my way to the airport. no time for an alilaguna shuttle ride across the water as it takes too long. the good news is i will have internet so i can send one last postcard from venice as i sit by my canal window and ponder the devastating beauty of the serene republic of venice – her winding passages, liquid channels, ringing church bells, fog that blows past our windows, and a thousand other things that make venice in winter such a pleasure. i thought of you and your dear family often as i strolled around! I have never been to Venice however I am feeling a real sense of place through your photos and writing, sincere thanks. you’re ever so welcome terry, thanks! 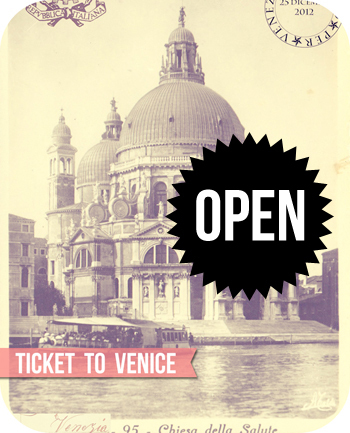 Venice has laid out it’s best shot for your discerning eye, and I think you caught them ll. Better than a postcard, made studies? Loved it all and could tell you are hvving fun in your element. Your Venice photos have been such a delight! Thank you for sharing your amazing trip with us, and safe travels! Your photos are bringing back so many memories from my trip to Venice just 3 years ago at the same time of the year! What I really loved was the picture of the bird feeder because I just made a few of these a few days ago! (Of course, I found them on Pinterest!) Please have safe trip home and that you for sharing! I am just finishing a Donna Leon mystery with Dottore Brunetti. The setting for all her novels is Venice. I have visited Venice three times but your photos were just the thing I needed, while sipping my morning coffee, to think back to some of the scenes in the novel. Enjoy your last day! When one needs a Venice fix, a Donna Leon book always has me sighing and ready to book the flight! winter definitely! I cannot believe it….your 12th photo & last….I took the same view in 2013…. Thank you for sharing more lovely photos! !